We would like to congratulate Sam Pole, our Paraplanner and Compliance Assistant who has won a Local Institute Examination Prize for the “Best Performance in completing the Certificate in Financial Planning (Cert PFS)”. The Insurance Institute of Leicester is the professional body that represents members of the Chartered Insurance Institute and the Personal Finance Society who live and work in Leicestershire & Rutland. The Institute provides a full programme of Education and Training events throughout the year for its members. The Institute also presents awards annually to members with significantly high achievement in Examination studies. Six awards are made for the ‘Best Performance’ in completing The Certificate, the Diploma and the Advanced Diploma, one at each level for General Insurance and one at each level for Financial Planning. 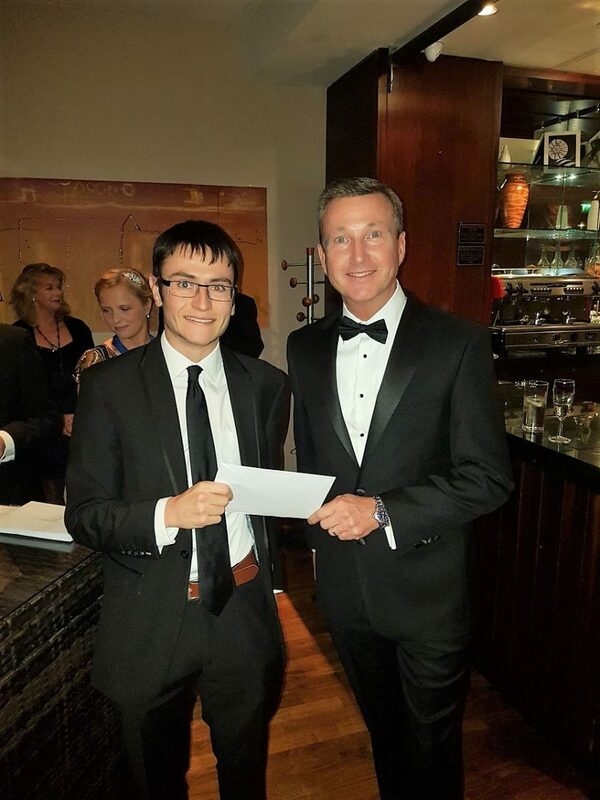 This year the award for the ‘Best Performance’ in completing Certificate in Financial Services went to Sam Pole from HSP Financial Planning Ltd in Whetstone, Leicester. Sam won the award by having the best combination of high average mark and speed of completion. The prize was a cheque for £100 and an invitation to attend the Annual Dinner as a guest of the Institute held at the Marriott Hotel in Grove Park, Enderby, Leicester. He also received a framed certificate, which is displayed in our office. It’s great to see all Sam’s hard work and dedication rewarded and recognised formally in this way and feel that the future is bright for HSP and our clients with Sam and the team regularly going above and beyond.